Rebid M&R & MLS – We have reached a tentative agreement on this section. Ten hour shifts M&R – We have reached a tentative agreement on this section for both implementing and eliminating ten-hour shifts. 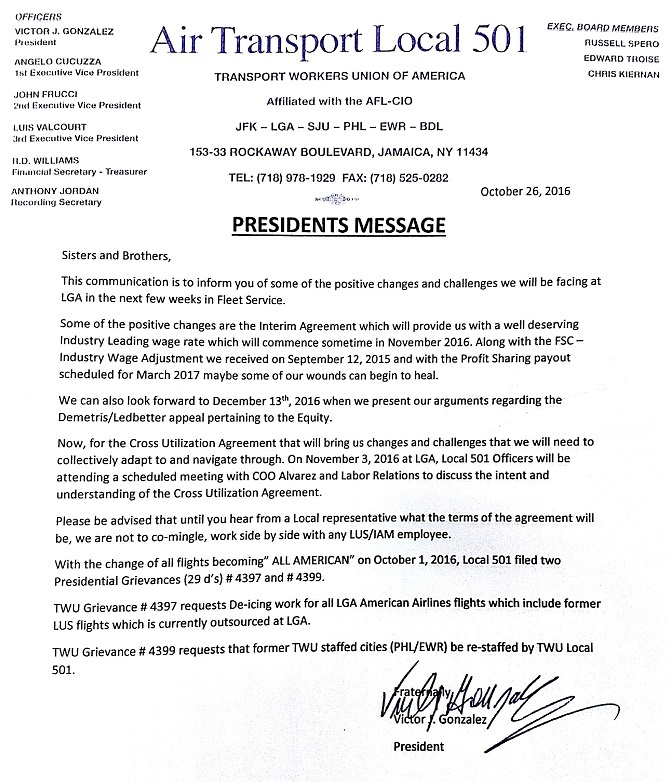 Ten hour shifts MLS – We have reached a tentative agreement on this section (unchanged). Realignment M&R & MLS – We have reached a tentative agreement on this section. Reduction in Force M&R & MLS – We have reached a tentative agreement on this section. Recall M&R & MLS – We have reached a tentative agreement on this section. The fifteen-minutes allowed for each side to present arguments regarding the Demetris/Ledbetter appeal has now been scheduled for Tuesday, December 13, 2016 at 9:30 am in San Francisco before the 9th Circuit Court of Appeals. We will not be informed of which Judges will be sitting on the panel to hear the arguments until December 2, 2016.